Light creates so much more than just “light.” It inspires connection, conversation, education and safety. Through the work and donations of and to the Vibrate Higher Foundation and Vibrate Higher we were able to spend some time in Haiti on a mission trip in May 2018. To date, 1700 families and school children from different backgrounds, all over different parts of the country - including Cap Haitian, Grand Goave, Jacmel and Ilet Sab have been impacted through our light donations. Ilet Sab is a tiny island off the coast of Grand Goave with no electricity infrastructure. Here especially, the lives of the people were forever changed by the addition of these lights. Thanks to these lights - the people are now able to have safer walks home, enjoy illuminated dinnertime conversations, and work on homework that can help education them as well as future generations. When technology is something you’re so used to having - it’s easy to take it for granted. But for most of the word it is a luxury - something they only dream of having. 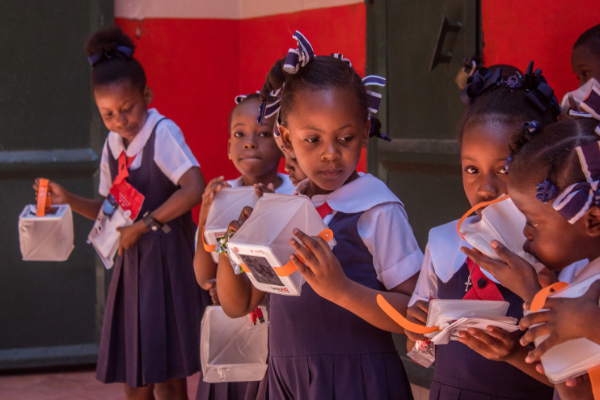 Through The Vibrate Higher Foundation and Vibrate Higher we launched a Tech Drive - on a mission to bring electronics (and endless possibilities) to the students at ISCCH School in Cap Haitian, Haiti. Thanks to the success of this campaign and the generous donations we received from VH supporters and students at our partner Earth Yoga NYC - we were able to travel to Haiti in November 2018 to set up a tech lab at ISCCH School. This tech lab contained over 50 donated electronics - from ipads, to computers and more. Through the success of this campaign, these students have been given not only technology - but OPPORTUNITY. Opportunity to learn more, do more and become more. It is quite impossible to put a value on education, but if you could - it would certainly be high. 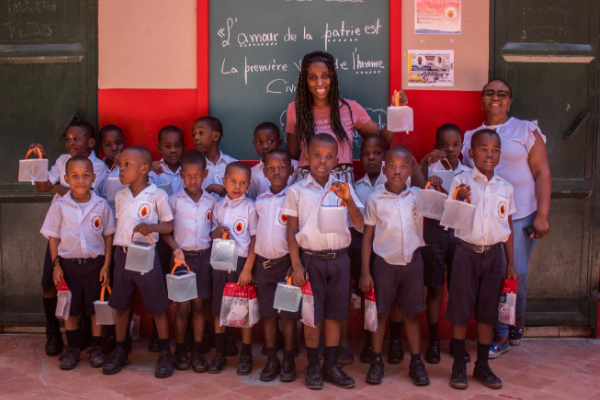 Through the success of the Vibrate Higher Foundation’s Tuition Campaign - we were able to raise enough money to sponsor 15 children on scholarship to ISCCH School in Cap Haitian, Haiti. To say this mission trip was successful would be an understatement - these students are so deserving, driven and dedicated to be the best they can be. The education they are going to receive from ISCCH School will forever change their lives.